There's some pretty terrific crime writing coming out of Ireland in recent times (Northern and Republic), and Claire McGowan's series featuring forensic psychologist Paula Maguire have become among my most highly recommended. It's an outstanding, must-read series set against the ongoing shadow cast by the Troubles - thirty years of sectarian violence that cost thousands of lives and left tens of thousands maimed and injured. McGowan grew up among the rural landscapes of a small village in Northern Ireland during the tail end of the Troubles, and delivers a rich and textured portrayal of her home nation in exciting books that bring past and present together. The sixth and (possibly, hopefully not) final novel in the series sees Maguire now based in London but returning home to Ballyterrin for a wedding. Two bodies are unearthed on a local farm, and the locals ask Maguire for help in an historic case that threatens to entwine with the disappearance of Maguire's own mother decades before. How much should Maguire dig? For years she's wondered what happened to her mother, but does she really want to know the truth? Their country has a brutal history, and how would any potential 'closure' effect her and her father and their current lives? McGowan is one of those talented novelists who has readers relaxing into the story within the first few paragraphs. Her prose has a freshness and energy to it, without being 'try hard'. It's quickly clear you're in good hands. Like other books in the series, THE KILLING HOUSE is intelligent and layered crime writing. If you had a scorecard, it would tick boxes across the board: fascinating plotlines, interesting characters, pacy while still having depth, rich settings, plenty of personal and societal issues woven through without stifling the story. 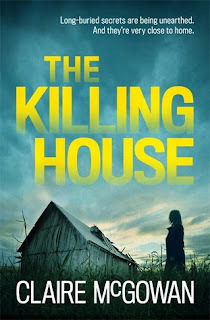 But that misses some of the magic - THE KILLING HOUSE is more than the sum of its excellent parts. It's crime writing of a very high level, that excites, engages, that tickles the mind and makes you ponder, while also snatching at your heart. A brilliant coda to a tremendous series. I read it at the end of 2018 while putting together a 'best of' list for a major magazine, and loved it so much I had to bump another favourite from the list.